Making phone calls and texting loves ones internationally can be expensive. 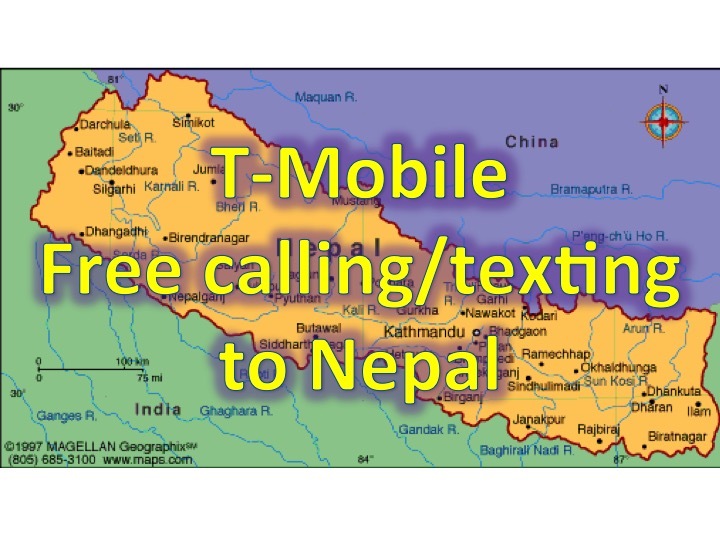 With the recent events in Nepal, T-Mobile is now offering free phone calls and texting to Nepal, both mobile and landlines, from now to May 16th. Not only does this apply to post-paid customers, but prepaid as well. This offer also applies to all T-Mobile network and their prepaid variants T-Mobile, MetroPCS, GoSmart Mobile and Walmart Family Mobile with international calling. If you have T-Mobile and want to help out in Nepal, you can donate by texting NEPAL to the numbers below. Click here to read the complete press release from T-Mobile.